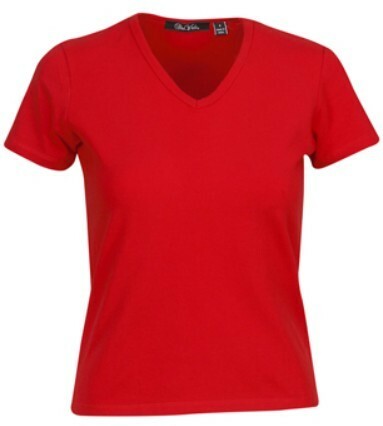 This stylish ladies v neck t shirt offers a sharp look with a narrowed silhouette. 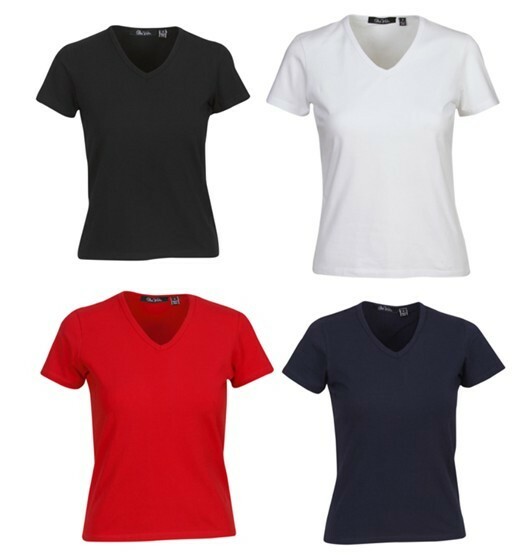 This v neck can easily transition to various types of everyday wear, including leisure wear, work wear, and even a night out. This gives you an endless number of outfits that you can interchange according to the season, the trend, and you mood or personality. The options are endless when it comes to this high quality, lycra t-shirt. This tee shirt includes a 1 colour screen print of your logo either on the front or on the back. Additional print positions and extra print colours are possible for a small additional cost. A print set up of $75 applies. For full colour photo finish quality prints please contact us for pricing and for more information. 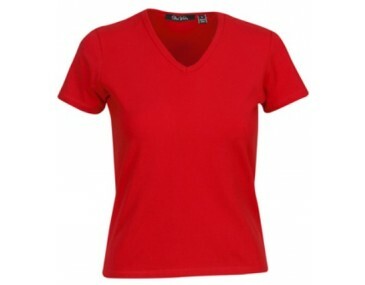 This garment is made with: 95% Cotton | 5% Lycra; 200gsm. Size guide measurement: Half chest (CM): Size 6- 40, Size 8- 43, Size 10- 45.5, Size 12- 48, Size 14- 50.5, Size 16- 53, Size 18- 55.5, Size 20- 58.